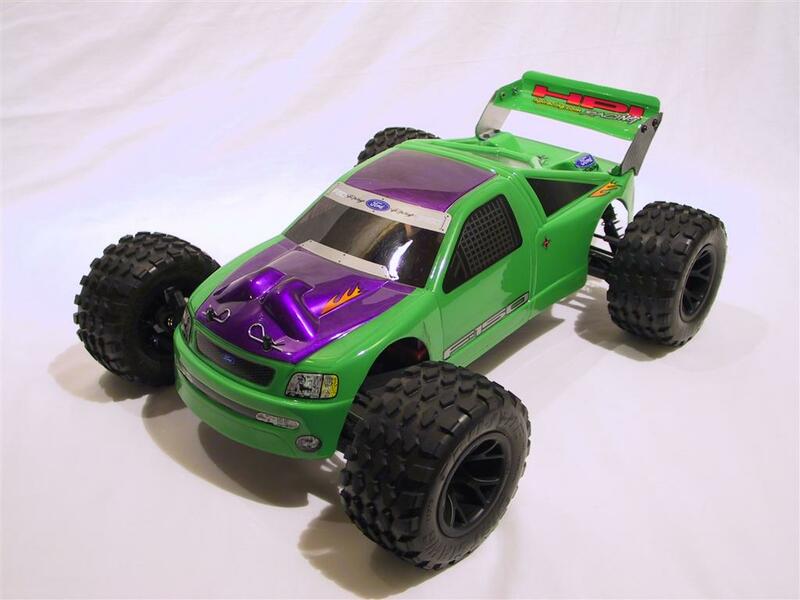 HPI Racing RS4 MT – kit #501 – 1/10 electric Monster Truck (1997) | Classic and Vintage RC Cars HPI Racing RS4 MT – kit #501 – 1/10 electric Monster Truck (1997) | We are an internet source for classic RC car pictures and information. From vintage vehicles to pre-modern sports cars, you’ll find it here. 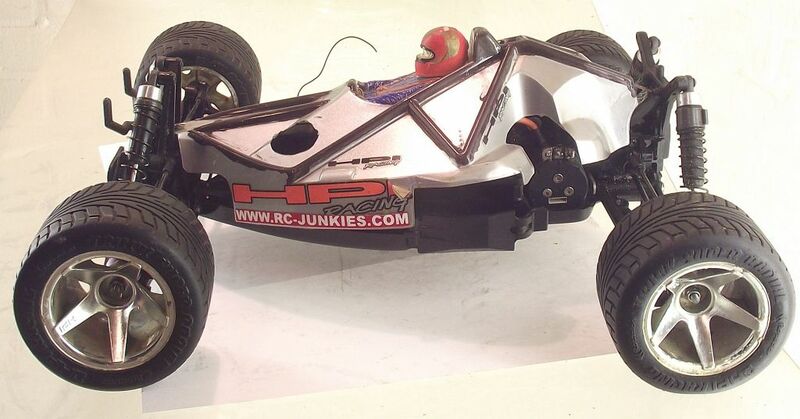 HPI truly became a big player with the touring-car boom, first with the RS4-series electric car, and then with the Nitro RS4. Though not the first nitro touring car, the Nitro RS4 was the most popular and successful, and set the 200mm standard for the class, and the aftermarket exploded with hop-up parts. 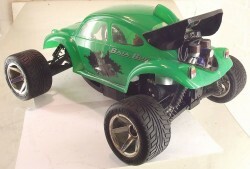 HPI’s wide variety of great looking shells available to turn it into everything from a street pickup to a Corvette. 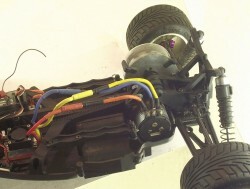 The here featured electric version RS4 MT was packed with features like an efficient dual-belt drive 4WD system, traction control clutch, maintenance-free geared diffs, high volume oil-filled coil over shocks, stick or saddle pack battery positions, a belt tensioner, polycarbonate inner body and a carbon fibre spur gear. 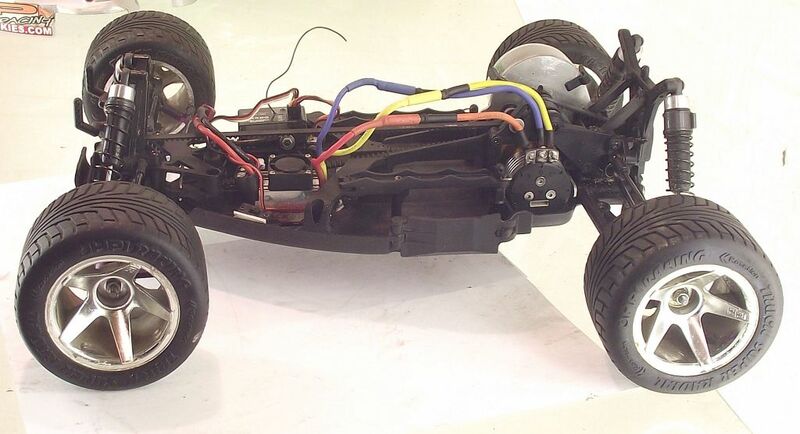 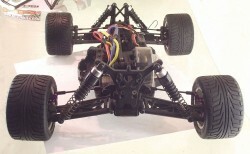 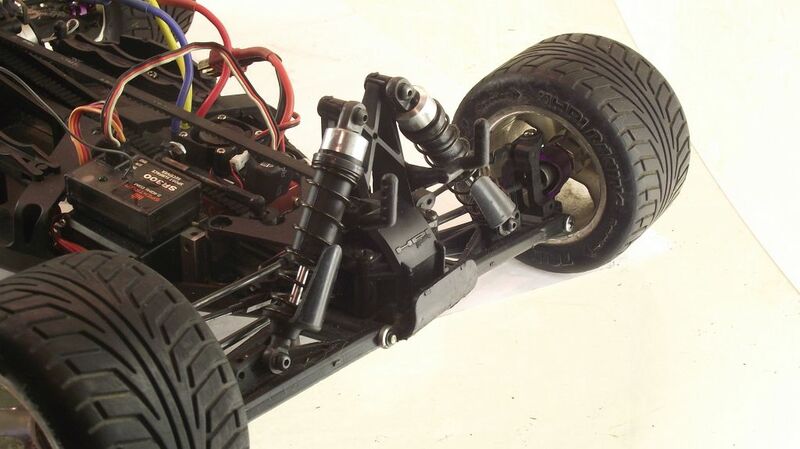 The chassis, suspension arms and rear shock tower are all fibre-reinforced for extra durability. 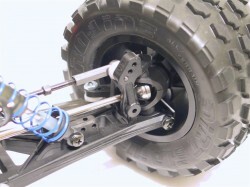 And the ride height is easily adjustable from on-road to off-road by moving a few screws. Off-Road jumps are really fun to take with this truck! 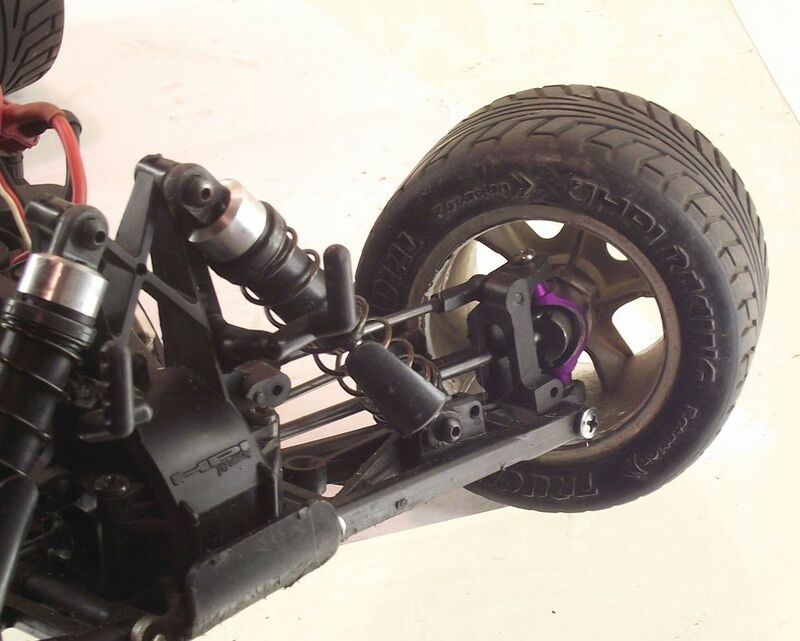 A few Quick adjustments convert the MT to a lowered street truck with great handling. 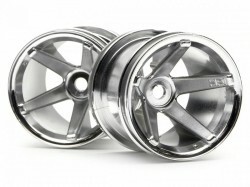 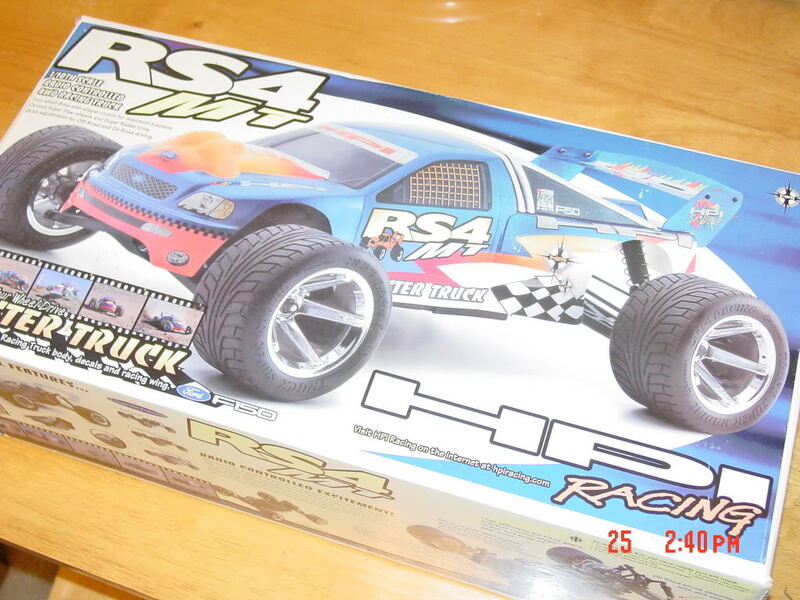 The HPI Racing RS4 MT came with a kind of onroad truck tires, named HPI V-Groove Truck Radial Tires and they were mounted on very nice 5-spoke chrome “Super Star”truck wheels. 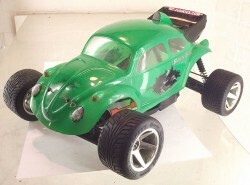 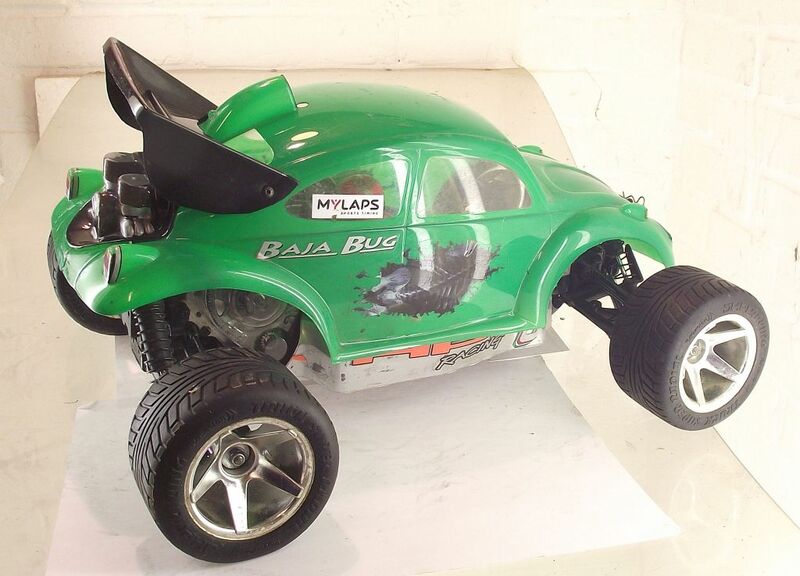 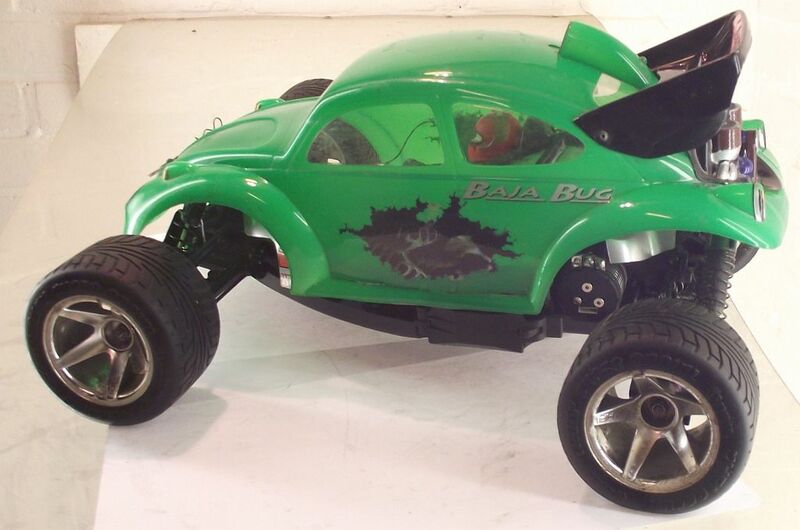 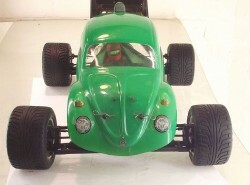 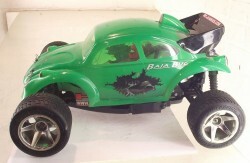 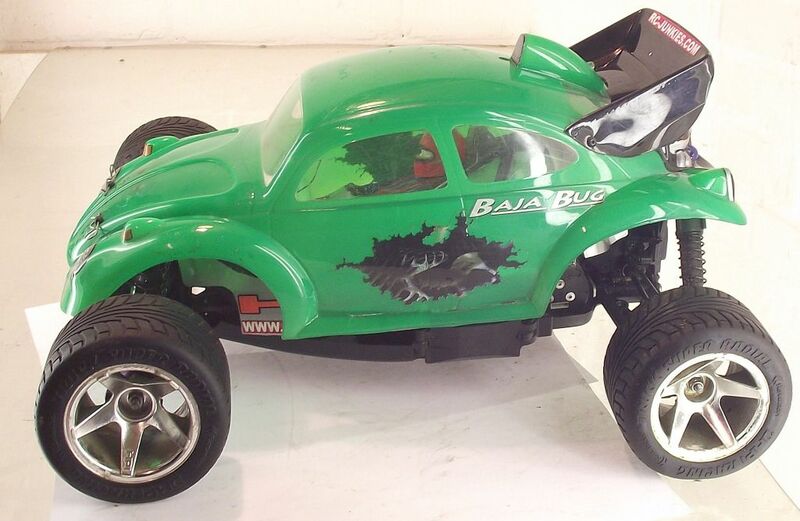 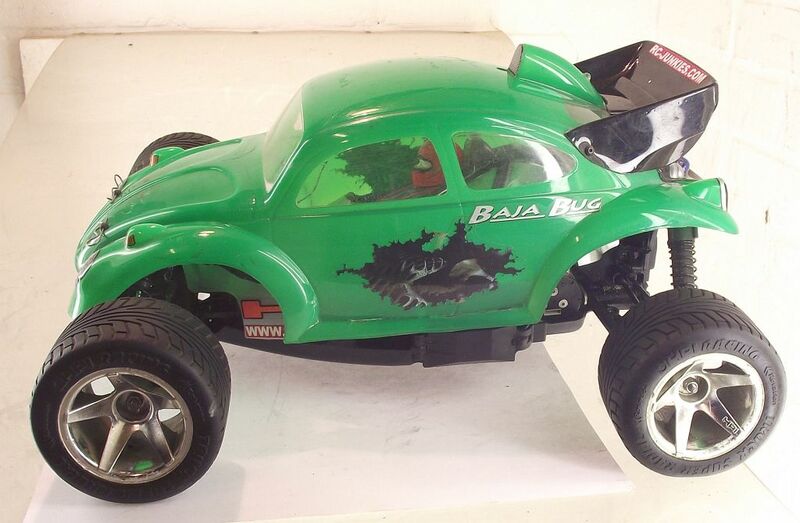 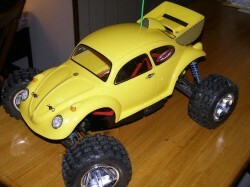 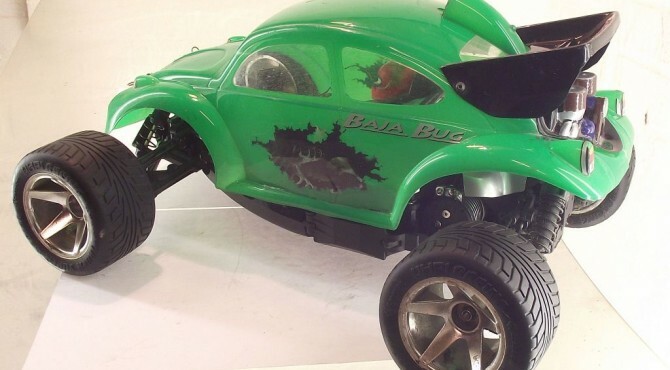 The RS4 MT VW Baja Bug used standard size truck tires on rims with a 12mm hex, so a huge variety of wheels and tires fit on it. 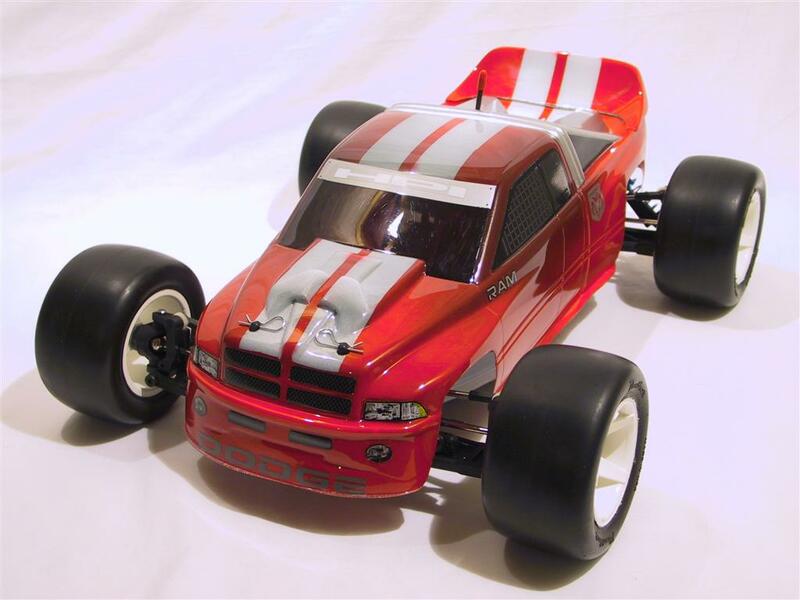 On-Road truck racers were amazed by the handling of the RS4 MT, and Off-Road racers weren’t disappointed either. The traction of the belt driven 4WD made it a standout on any dirt track, and its easily adjustable ride height ment it can go from On-Road to Off-Road with a switch of tires and moving a few screws. 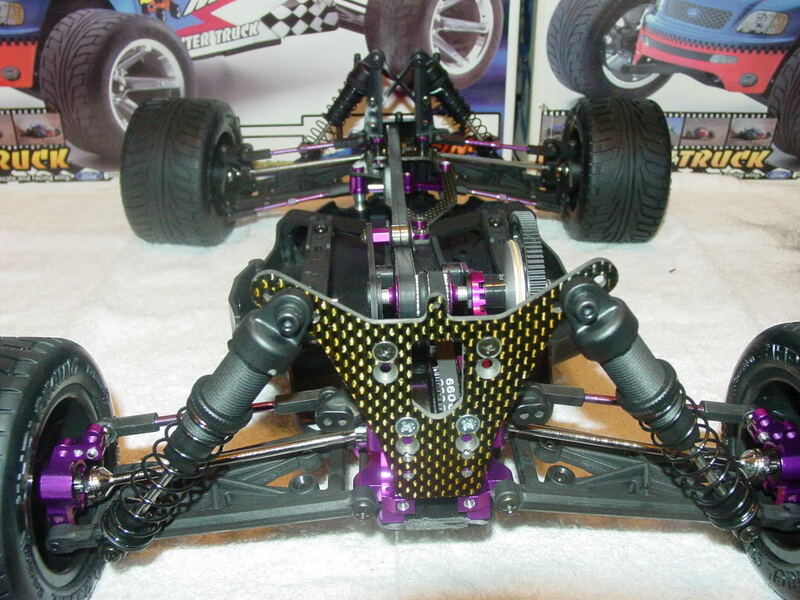 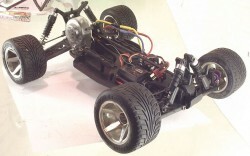 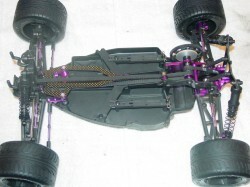 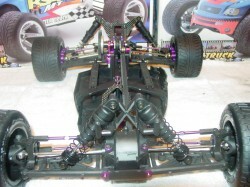 The nitro version (item #551) was called ‘Nitro MT’ and featured HPI’s first full-time shaft-driven drivetrain, a purple anodized counter-sunk chassis, a 0.15ci (2,5cc) pull-start nitro engine, a detachable radio tray for easy maintenance and cleaning, a complete set of ball bearings and a molded tuned pipe. 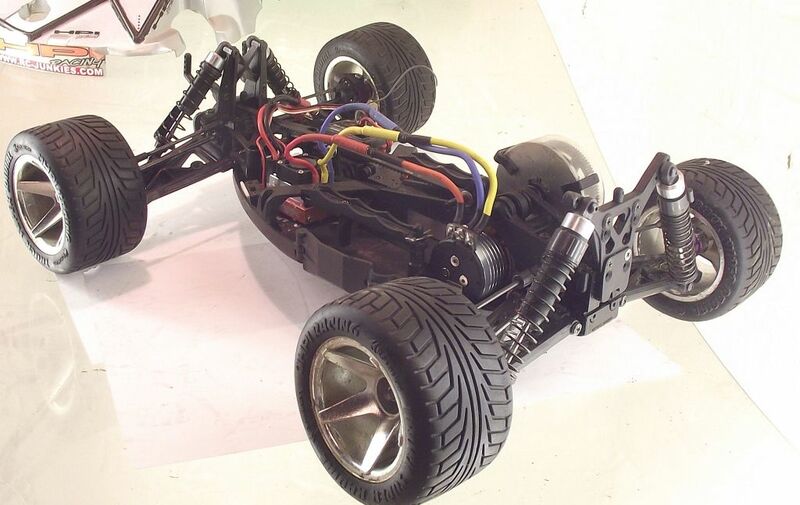 The Nitro MT came equiped with front/rear gear diffs and the same long-stroke oil-filled shocks and extra wide suspension arms for increased stability like the electric version. 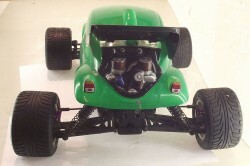 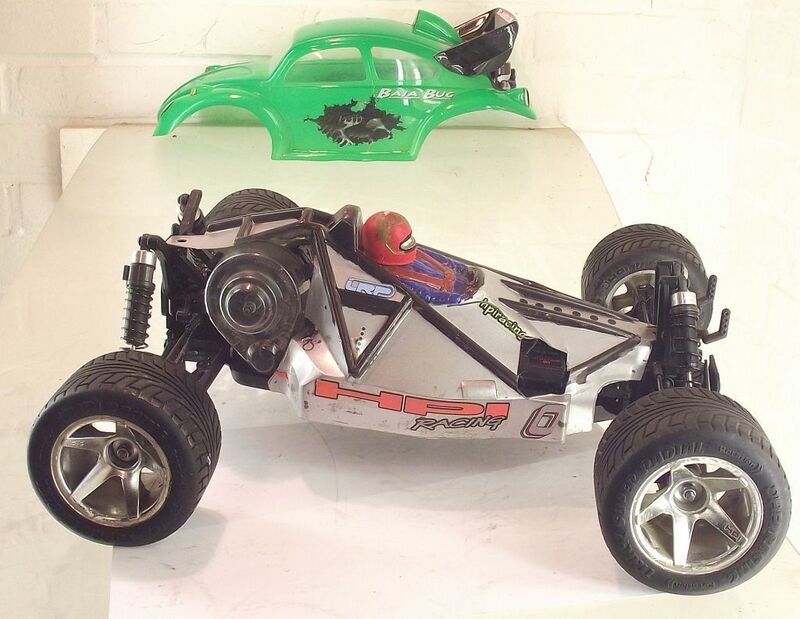 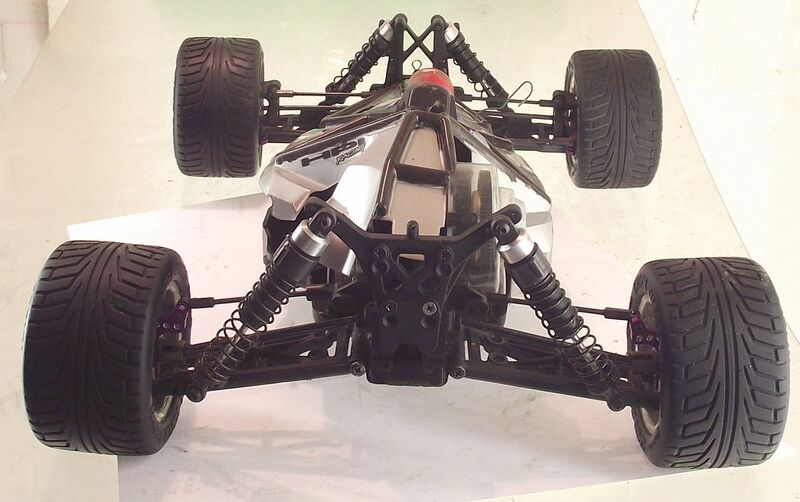 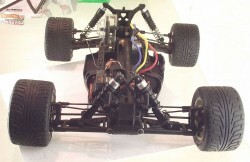 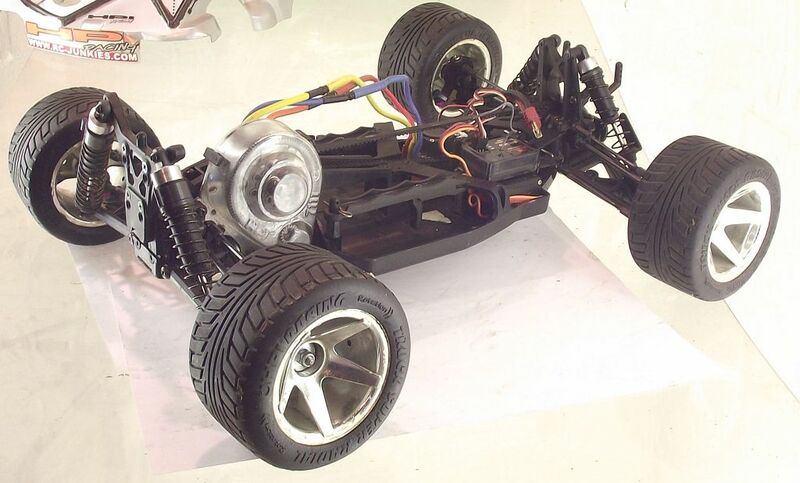 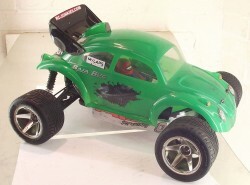 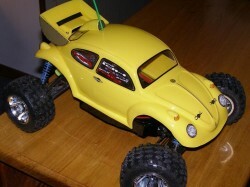 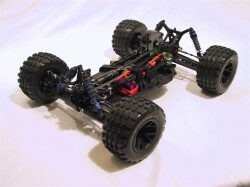 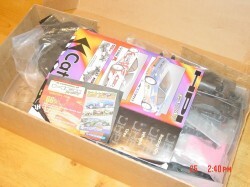 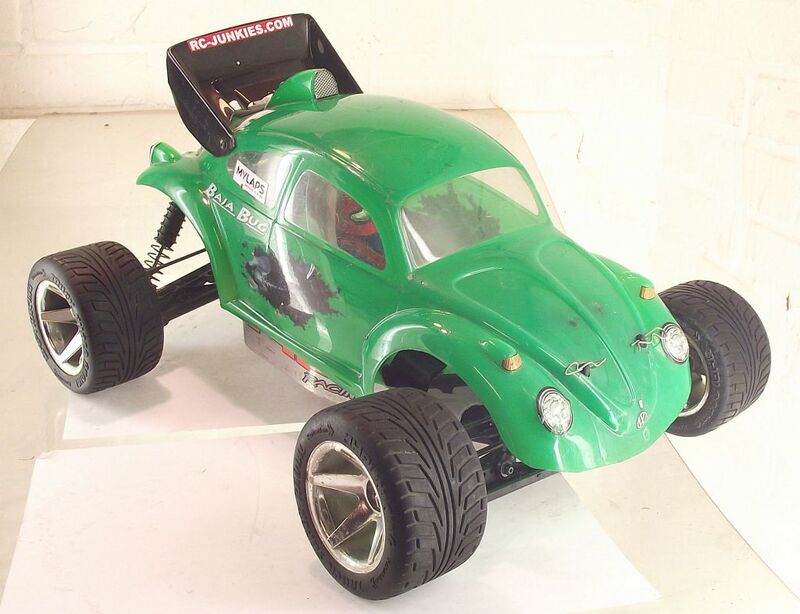 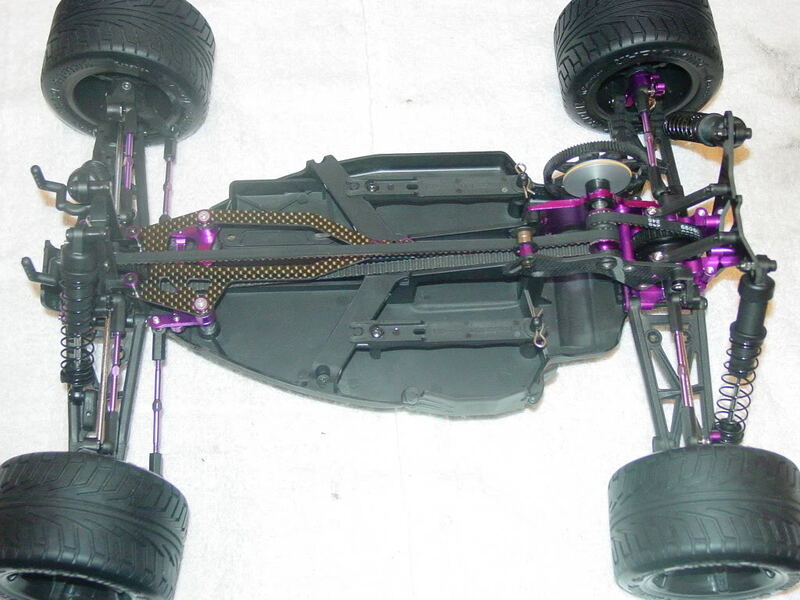 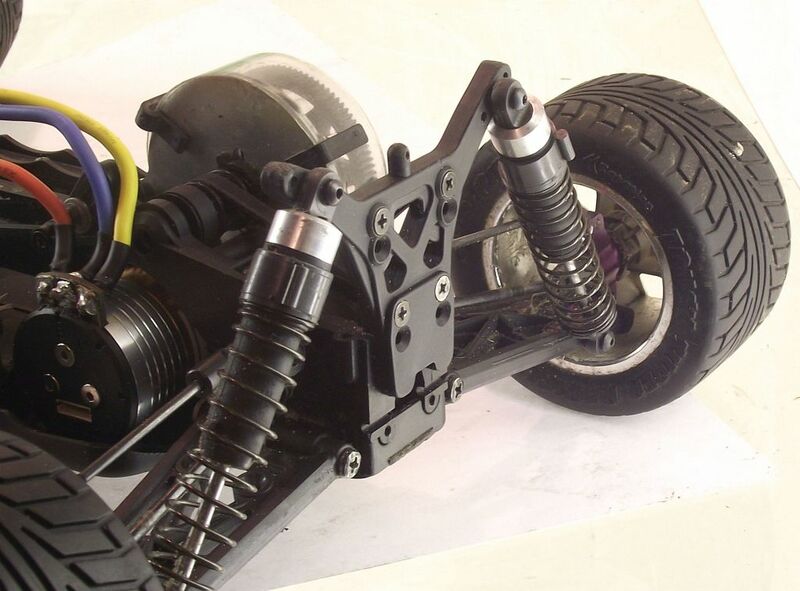 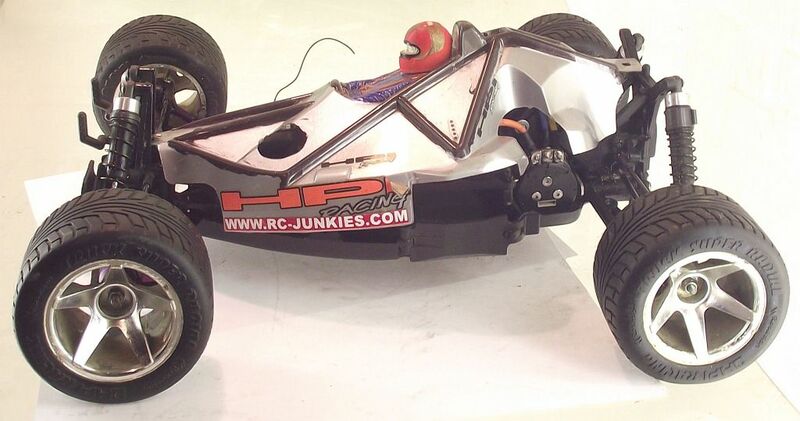 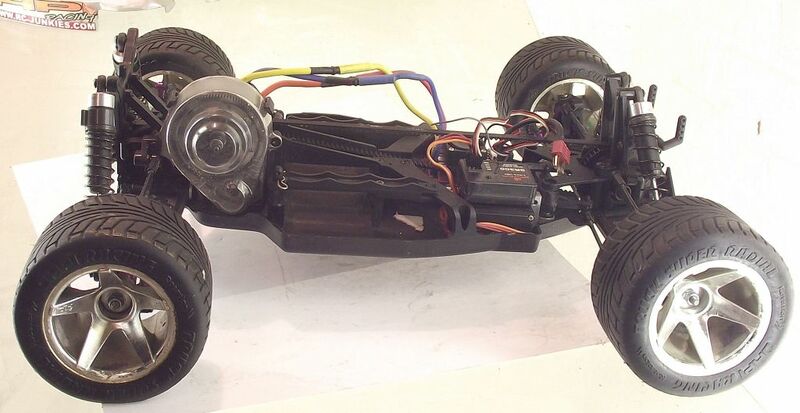 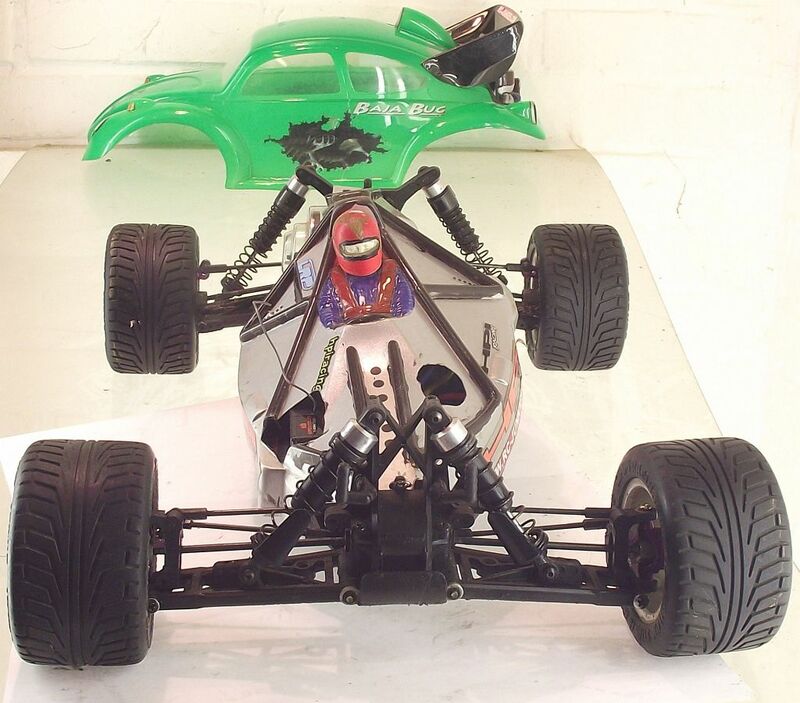 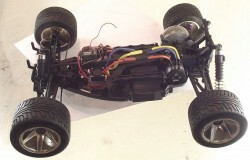 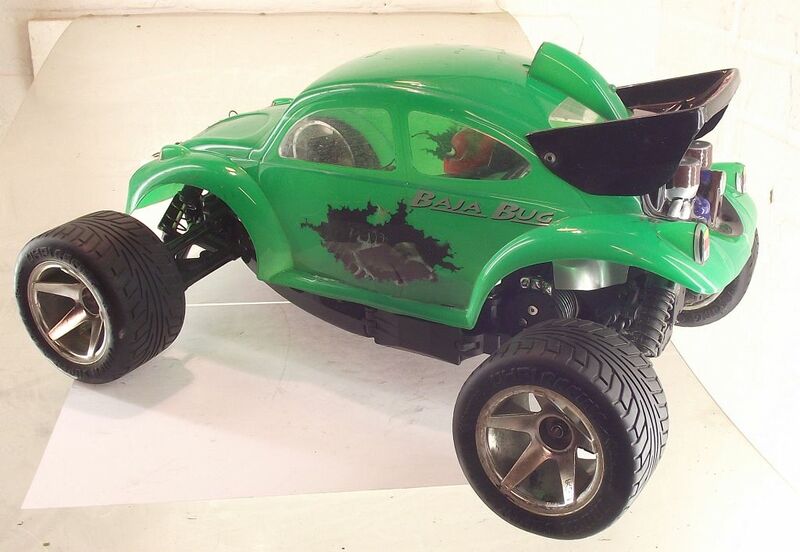 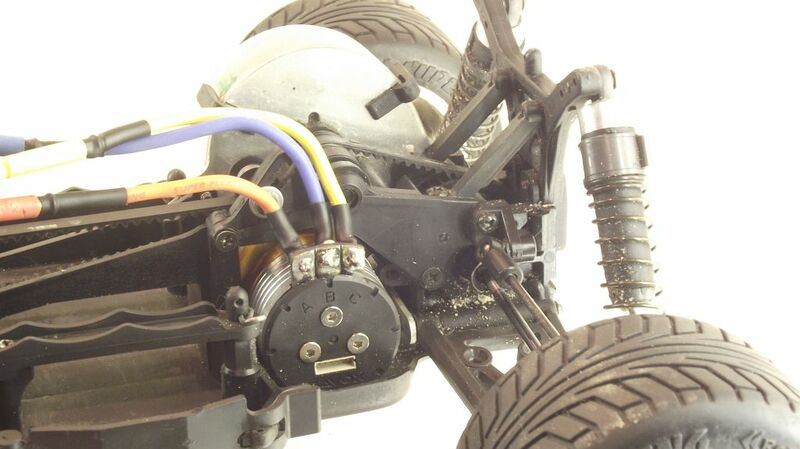 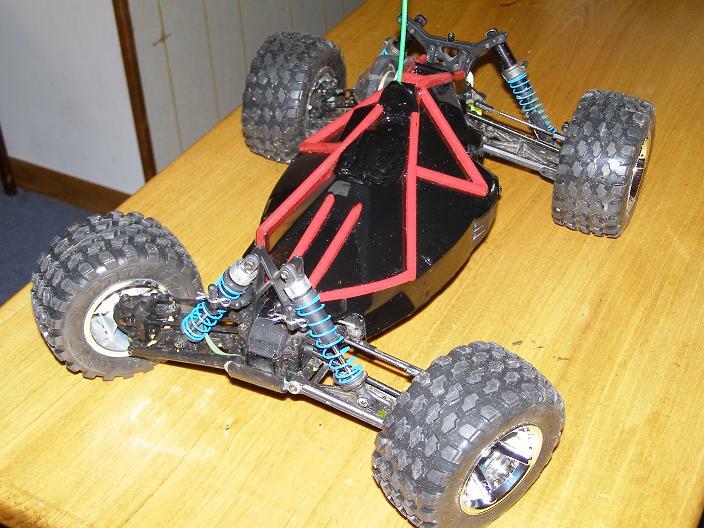 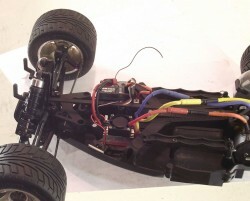 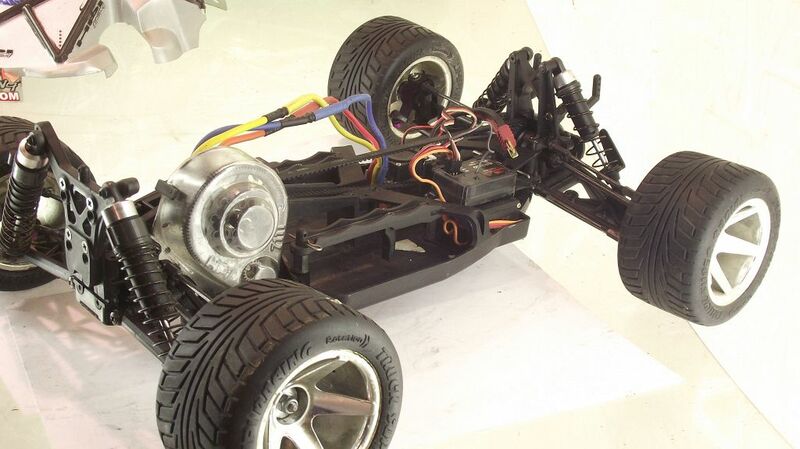 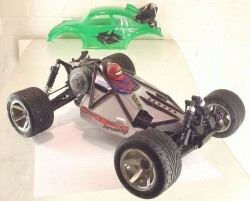 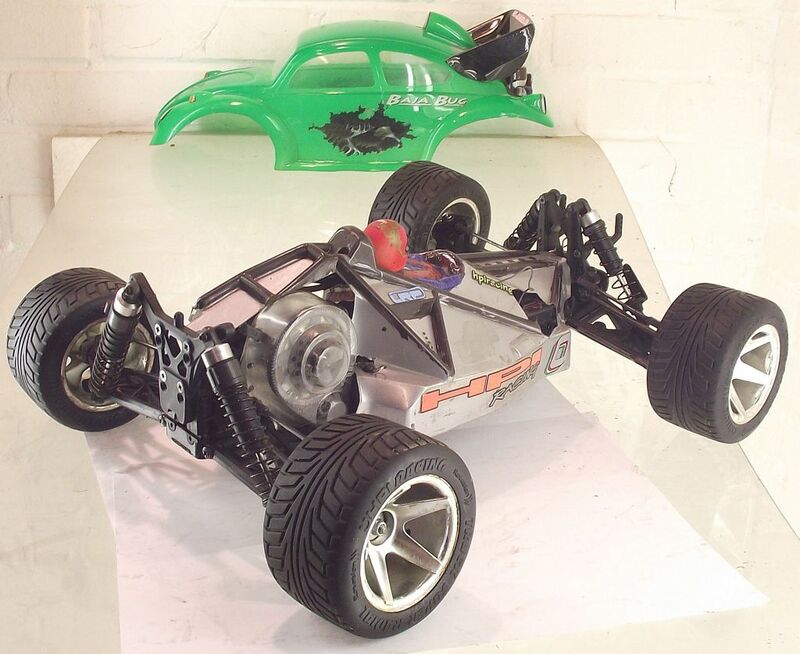 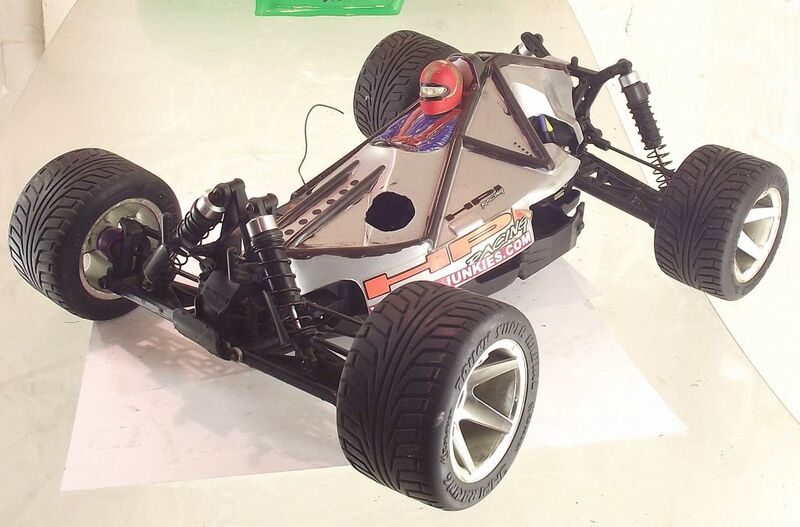 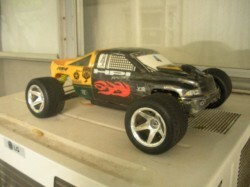 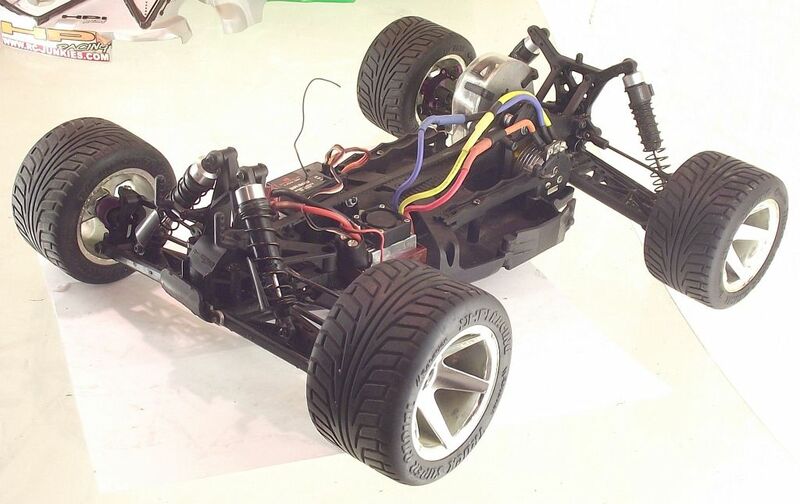 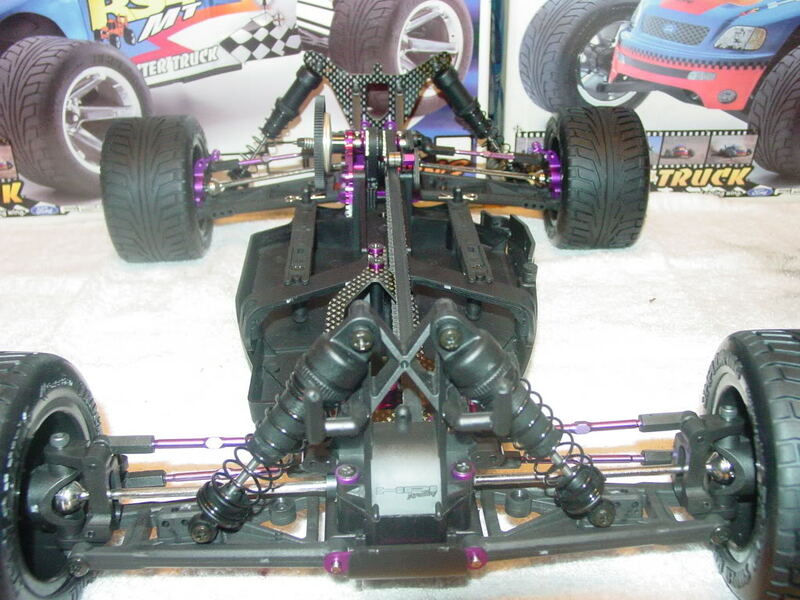 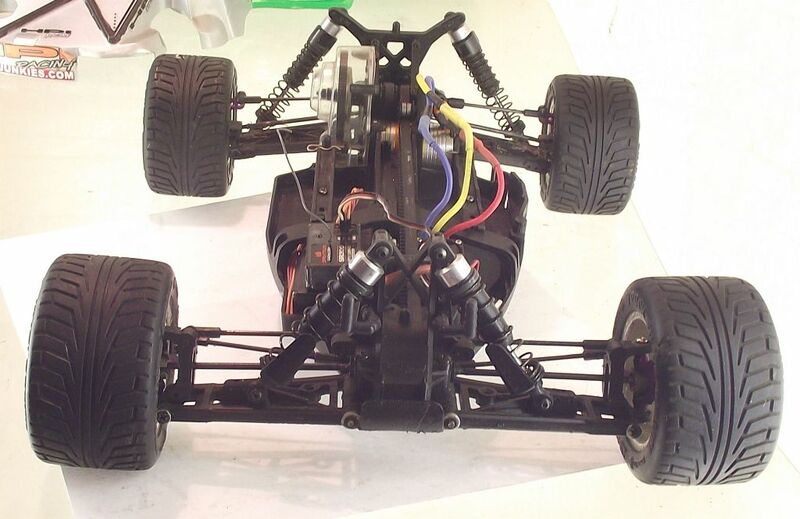 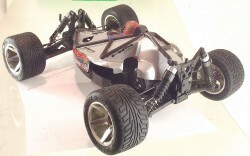 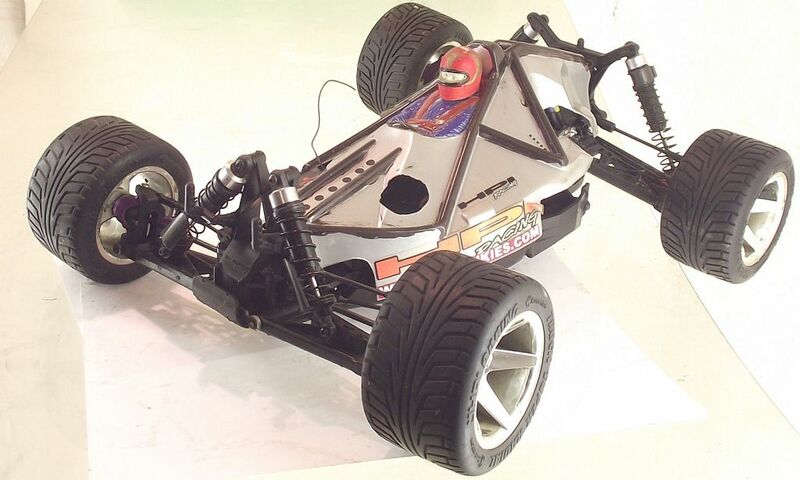 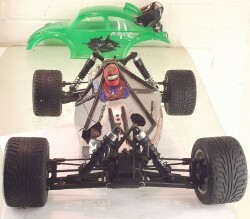 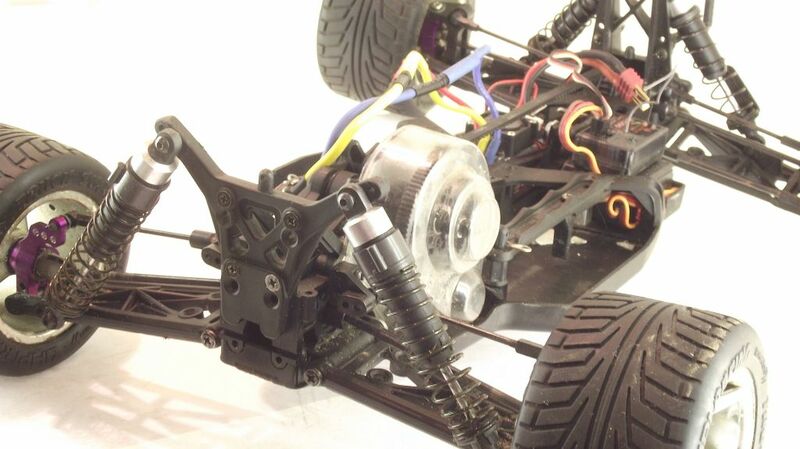 The first kit version of the HPI Racing RS4 MT was followed in 2001 by the HPI Nitro MT2 18SS and later that model has been replaced by the Nitro MT 2 G3.0. 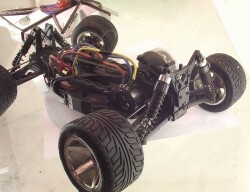 These were both nitro versions of the RS4 MT, there was no successor for the electric version. Only the first series of the HPI Racing RS4 MT were available as an electric version.